Colin Lawrence Bryant, in his 42nd year, suddenly left this life on March 12, 2017. Beloved son to Edward L Bryant Jr and Marie Bryant (nee Hulvey). He will be greatly missed by his three adoring children Liam, Connor and Gillian and his cherished wife Skye (nee Fontenot) of Bayou Chicot, LA. Colin was a loving soul who dedicated his life to his loved ones also, with a great sense of humor and quick wit you would be sure to laugh in his presence. Always one to lighten the mood. A friend to many he made friends wherever he would go. A life in constant motion seeking and exploring in his quest for knowledge found him with many certifications, diplomas, and degrees. His conversations and perspectives would be deep and engaging. 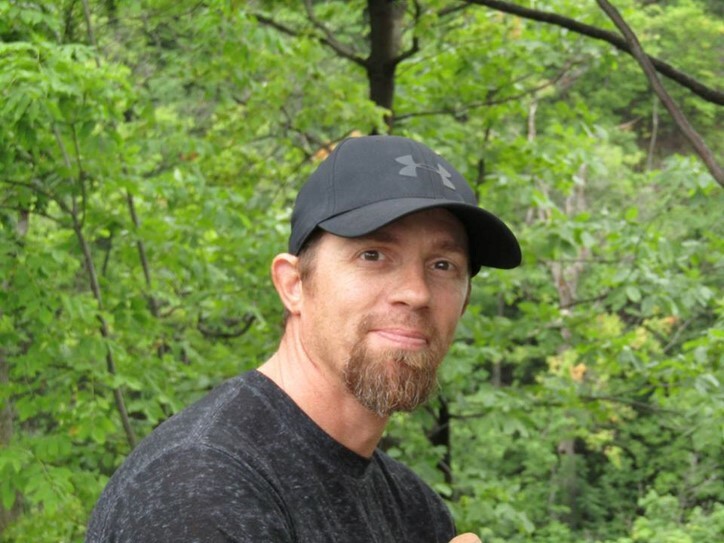 He enjoyed active living through Brazilian jiu jitsu, camping, hiking and running. He leaves behind his brothers Blaine, Timothy, Jonathan and Ethan, his sister Tiffany and many Aunts, Uncles, cousins, nieces and nephews and friends. When we were kids, he would follow my lead. As we grew up, he surpassed me and became an example to the entire family. As men, we encouraged and inspired each other to be greater men than the ones we were the day before. I will miss him always. My condolences to Colin’s entire family. May you find strength in your united love at this difficult time. Every time Colin would come visit the family in Houston, we were always do tourist activities: Space Center Houston, Galveston, Galleria, etc. I asked my mom, “why do we keep doing all of this tourist stuff every time Colin comes down”? She said, “those were all his idea”. Even when we knew it was much too cold to go in the water, Colin rolled up his pants, took off his shoes, and ran through the shallow waves on the beach. There was always an adventure to be had along with terrific conversations. Love you cuz, you will always be remembered. We all loved you Colin Bryant. You will be missed. Colin was one of a kind, the second son in a family of 4 brothers and one sister. I was never around to watch him grow as he lived in Canada and I in Texas. Just in the past two years have I been able to see and talk with him. I wish I’d known you sooner. Colin was an intelligent,knowledgeable and interesting person to work with. He spoke his mind (maybe too much at times) which I admired. He was one of a few former co-workers I’d seek advise from time to time. We both had “conners” and shared “raising kids” stories. I have many fond memories of Colin. He was like a brother to me. The memory I always think of, was when I first met Colin, and he got into my next door neighbor ‘s peddle car and both Holly and I said to get him out because we were afraid the boy next door would come out and bite him. He was maybe 2 at the time. He was just so brave and sure of himself, even then. Colin and I met through work back in 2003 and became great friends. We worked together for many years. When he and Skye were married I had the privilege of being one of the witnesses on their marriage certificate. We often enjoyed drinking beer (Labatt Blue) and him tattooing me. He surely will be missed. R.I.P. my dear friend.